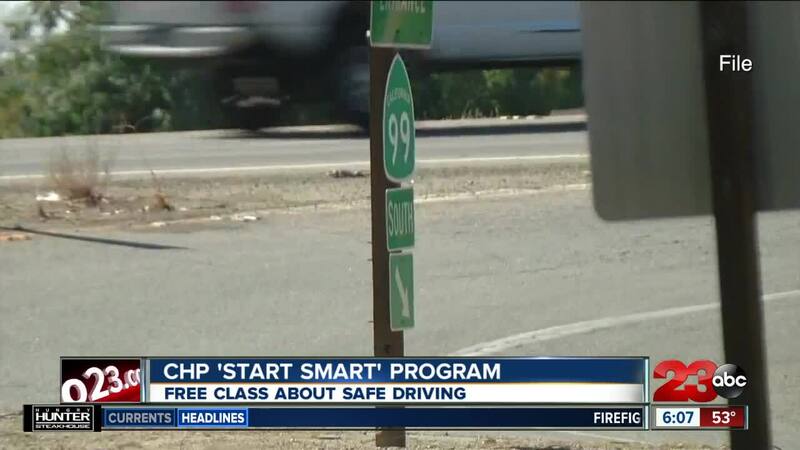 BAKERSFIELD, Calif. — The CHP Start Smart Program is expected to host a free class Tuesday night to discuss safe driving habits. The class is open to all current and prospective teenage drivers and their parents or guardians. Important issues such as safe driving habits, consequences of poor driving choices, and tips on how to avoid a collision will be discussed. CHP says the goal is to help parents and teens become more aware, educated, and better prepared to handle the stress of becoming a new driver. The two-hour class will be held on Tuesday, April 16 at 6 p.m. in the Bakersfield CHP Office located at 9855 Compagoni Street in Southwest Bakersfield.